The Broadway cast of the Tony-winning play War Horse, including the show’s title character, Joey, took a trip to New York's Citi Field on September 10 to participate in “Hooves on First,” a fundraiser to raise awareness about the treatment of horses. War Horse’s life-sized puppet Joey stole the show as he greeted fans before the game and paraded around the New York Mets’ home stadium during the seventh inning stretch. 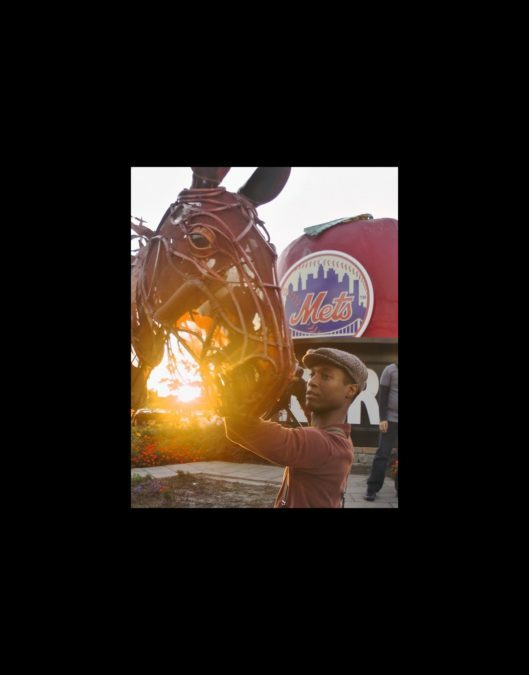 The event, hosted by the Mets and Seraphim 12 Foundation, also featured the cast of War Horse singing “Take Me Out to the Ball Game.” Check out Joey’s entrance to Citi Field, accompanied by cast member Jude Sandy, and get your tickets to see Joey in the national tour of War Horse.